The head and northern shore of Rozelle Bay retains its working harbour character, although even here the character of the industry has changed. The head and northern shore of Rozelle Bay retains its working harbour character, although even here the character of the industry has changed. The head of the bay now has some marine recycling and boat construction. The northern shore currently accommodates a wide variety of uses. 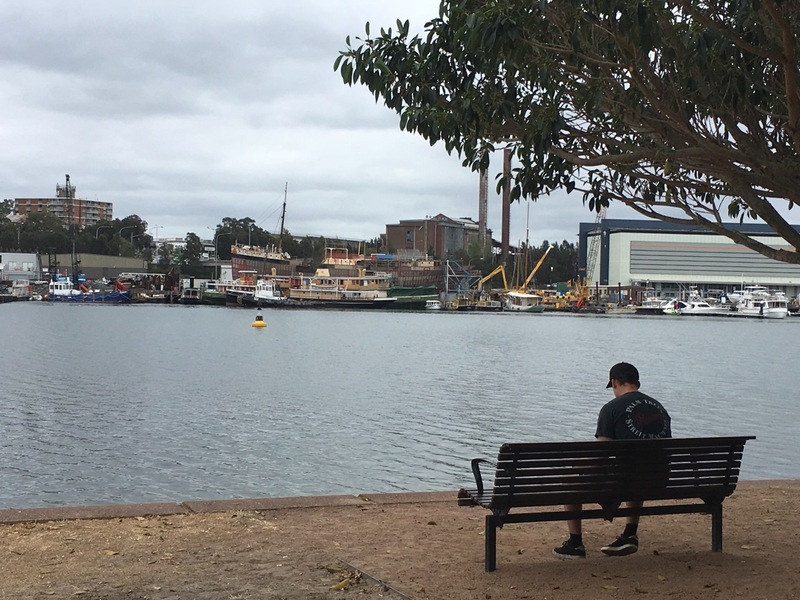 From left to right, you can see wharf maintenance and repair, followed by the repair shop and moorings of the Sydney Heritage Fleet. Vessels usually on view include the pilot vessel John Oxley (1927), Manly ferry Kanangra (1923), the steam tug Waratah (1902), the white-hulled schooner Boomerang (1903) and the VIP steam launch Lady Hopetoun (1902). Further east the large bulky building is a dry boat storage facility, and then the Sydney Superyacht Marina for large private cruisers, which gained temporary approval for the Olympics in 2000, but became permanent and has since been extended with onshore buildings for offices, retail and restaurants. Further east is the headquarters of NSW Maritime, which operates a number of small vessels, and under the northern approaches of the Anzac (previously the new Glebe Island) Bridge is a repair and painting facility for large yachts. Behind these are the White Bay Power Station (which operated from 1904 to 1983) and the Glebe Island silos used to store bulk cargoes, both serviced by rail. The silos were painted to resemble Greek Doric temple columns in the lead-up to the 2000 Olympics.